Click on the EntryEeze logo on the right to complete our membership forms. Contact our Membership chair at membership@mentorfsc.org with any questions. 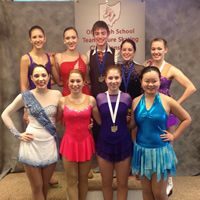 If you plan to Contract our Club ice sessions, you must be a member (full, collegiate or Associate) of our club. In order to skate on any club ice session, you must be a member of a figure skating club. New Members – Your membership MUST be completed prior to skating on any club ice due to insurance liability. Current Members – Your membership MUST be renewed no later than midnight June 5, 2016 prior to the first day of the summer contract. Otherwise you will be charged a $5 late fee.